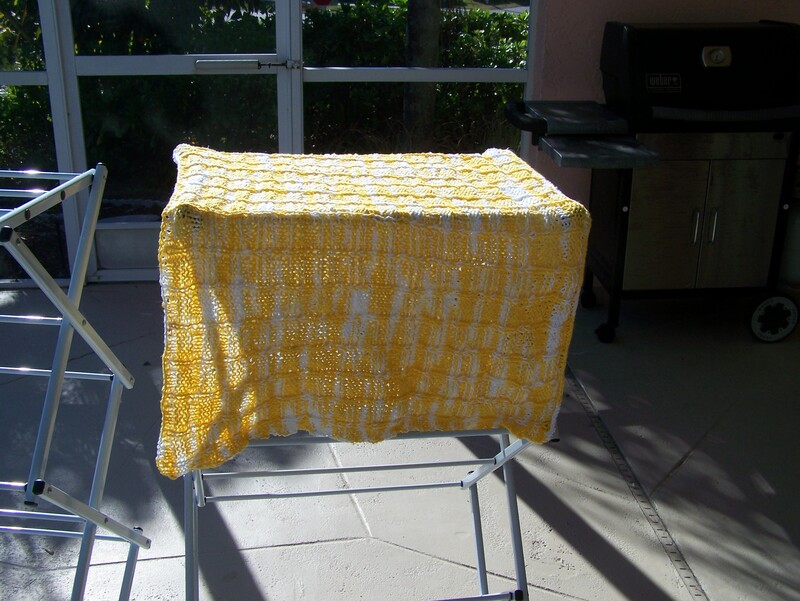 I just recently finished a beautiful yellow baby blanket. I used Bernat cotton. I wasn’t really sure about this yarn at first but chose it because the baby is due in the Summer and in Florida. Wool would not have been appropriate in many ways. I do love the yellow and white blend and I think it shows wonderfully in the pictures. It feels great and I may just buy more and knit up an adult sized blanket for myself. 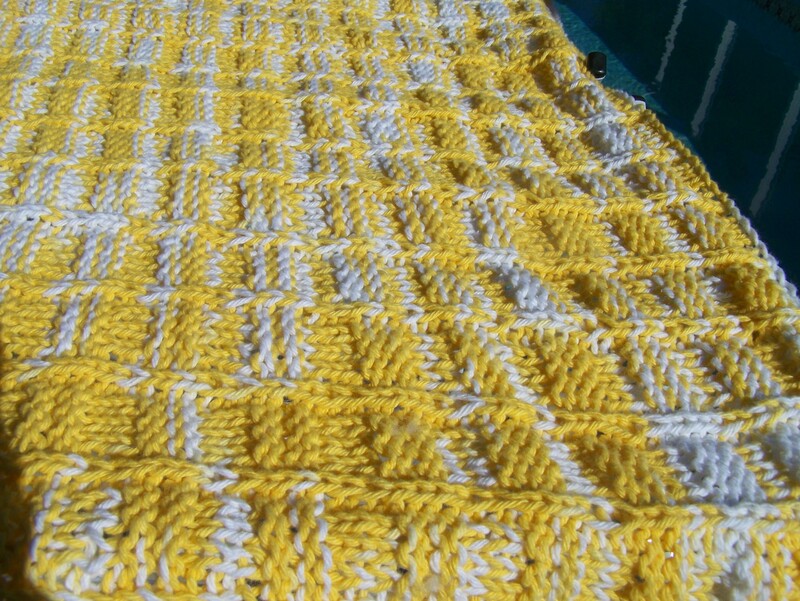 The stitch was a variation on the block stitch. I did try to do an edging but I tried to do the whole thing at once and broke my new forty inch Knitpick’s cord. Frustrated, I pulled the edging out. 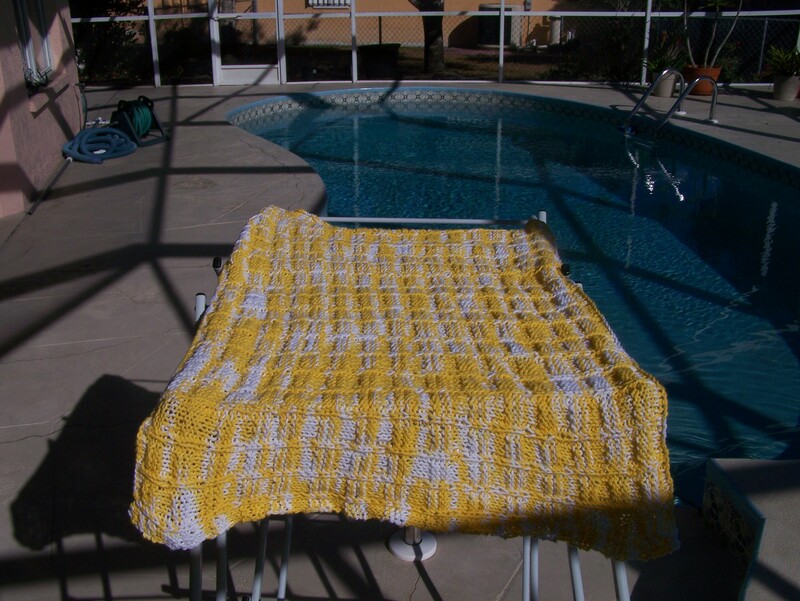 The blanket may be finished, but it doesn’t feel like it is complete. I still have plenty of time to pick it back up.